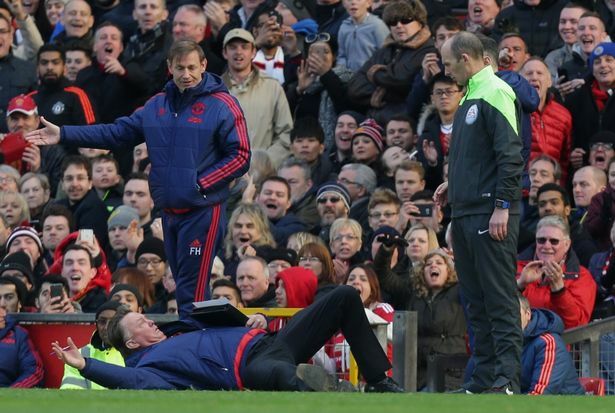 Louis Van Gaal has apologised for theatrically throwing himself to the ground in front of fourth official Mike Dean midway through the second half of United’s 3-2 win against Arsenal, as he mocked what he perceived to be persistent diving by players of the visiting side. 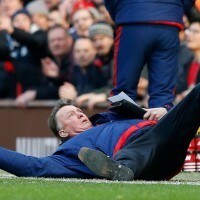 Throughout the season, Van Gaal has been criticised for never showing emotions and never leaving the dugout but on Sunday he stormed towards the touchline, folder firmly in his grasp before throwing himself to the ground, a move which was met with a roar of approval by the fans. 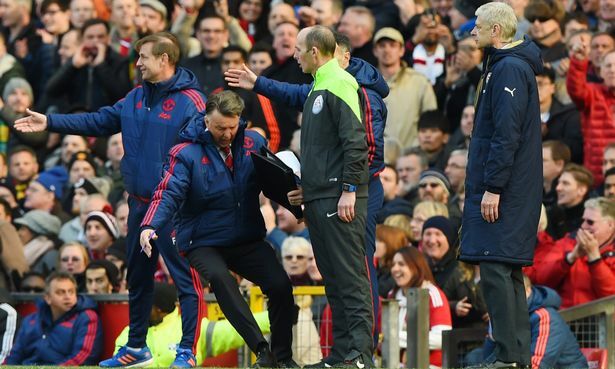 After the game, however, the Dutchman admitted he had gone too far and apologised to the officials for his behaviour. “That was too emotional and it’s not good for the referee, the linesman or the fourth official,” he said.